What activities took place on each hill? Capitoline Hill-Site of many of Romes earliest fortresses. It was also the hill of the government. Palatine Hill-This hill is the Hill of Romulus. In classical times it was where the rich and powerful chose to live. Quirinal Hill-It is on this hill that the Sabines once lived and built their city. Viminalis Hill-This is the smallest city out of the seven hills and was one of the last to be included inside the walls of Rome. The Palatine hill in Republic times. 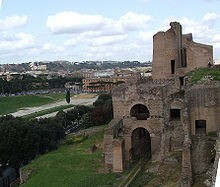 The Palatine hill is the Hill of Romulus. 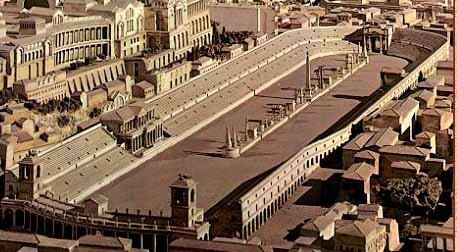 In classical times it was where the rich and powerful chose to live. 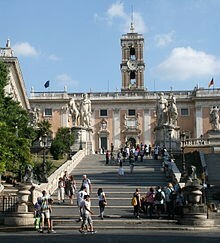 The significance of the Capitoline Hill is that it had a worship center such as the temple of Jupiter and it is also the center of municipal government in modern Rome. There is only one hill out of the seven that is still in use, and its Capitoline Hill. It is use as a politcal center in Rome. "Capitoline Hill." Wikipedia. Wikimedia Foundation, n.d. Web. 07 May 2015. "Palatine Hill." Wikipedia. Wikimedia Foundation, n.d. Web. 07 May 2015. "The Seven Hills of Rome." The Seven Hills of Rome. N.p., n.d. Web. 07 May 2015.